Home > KMS	> KMS ver. 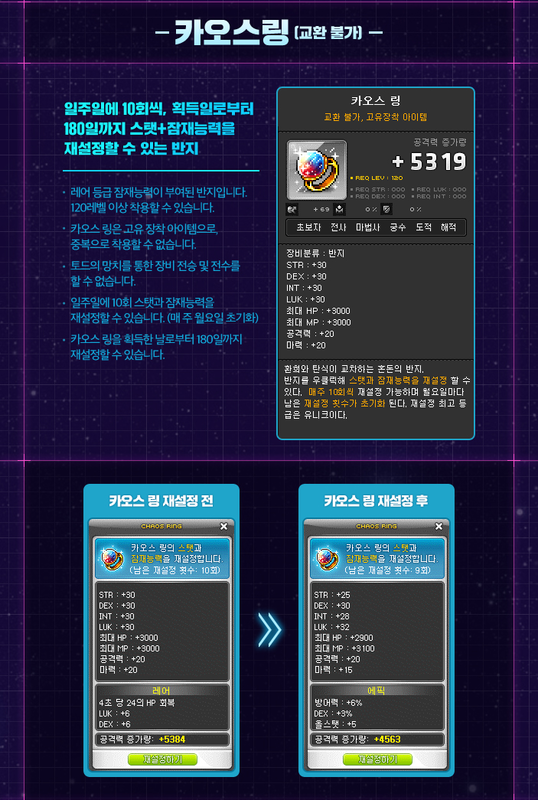 1.2.296 – MapleStory’s 15th Anniversary (Pt. 2)! In the final Arkarium quest, you will no longer lose experience if you die against him. 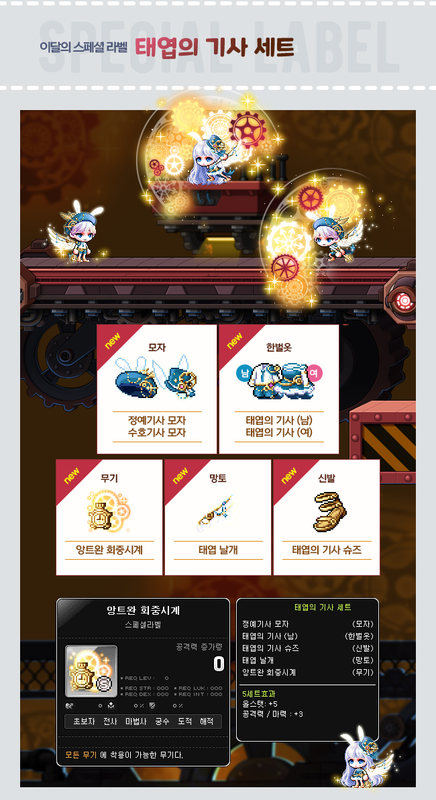 The Cash Shop function of entering coupon codes for gifts has been restricted. Fixed an error where the character creation date on the 15th Street Identity Card Chair was different from the actual creation date. Fixed an error where the Maple Treasure Soul Shield would appear behind the character while in the breathing motion. Fixed an error where the East Garden’s Survivors quest could not be completed in Chaos Mode. Fixed an error where certain UI would require ESC to be pressed twice to be closed while in Hangul entry mode. Fixed an error where character information was showed in the guild window while logging in privately. Fixed an error where buff skills did not apply while harvesting after equipping the Sharp Rake. Fixed an error where tooltips would not change when the mouse moved quickly between profession recipes. Fixed an error where the vouchers for the Pink Bean titles had incorrect stats in the descriptions. Fixed an error where a guild could not leave an alliance if their guild leader was not the alliance leader. Fixed an error where performing certain actions that would cancel boss matching would not cancel it normally. Fixed an error where in Will’s phase 2, the spiderwebs could be removed using reflection damage skills. Fixed an error where certain items’ levels did not match the monster levels. Fixed an error where certain bounty hunter achievements were not renewed when using Polo and Fritto Entry Tickets. Fixed an error where certain hats did not display mix dyed hair properly. Fixed an error where equipping a skill core would cause the automatically received skill’s tooltip and icon to appear has been fixed. Fixed an error where wearing certain hats or sitting on certain chairs would cause mix dyed hair to turn off. Pink Bean’s skill Twilight of the Gods‘ summon delay has been decreased and the range that it moves towards Pink Bean has been increased. Fixed an error where Dark Knight’s Reincarnation did not apply properly on Will. Fixed an error where if an Adventurer Archer died after summoning Evolve, Phoenix/Freezer would be automatically summoned. Fixed an error where Bowmaster could use Advanced Quiver while there were no active Quiver Cartridge arrows. Fixed an error where Adventurers could use Ready to Die while in Dark Sight. Fixed an error where Dual Blade could not use Erda Shower while in Advanced Dark Sight. Fixed an error where Flame Wizard’s Fire Blink’s duration was shorter than intended. 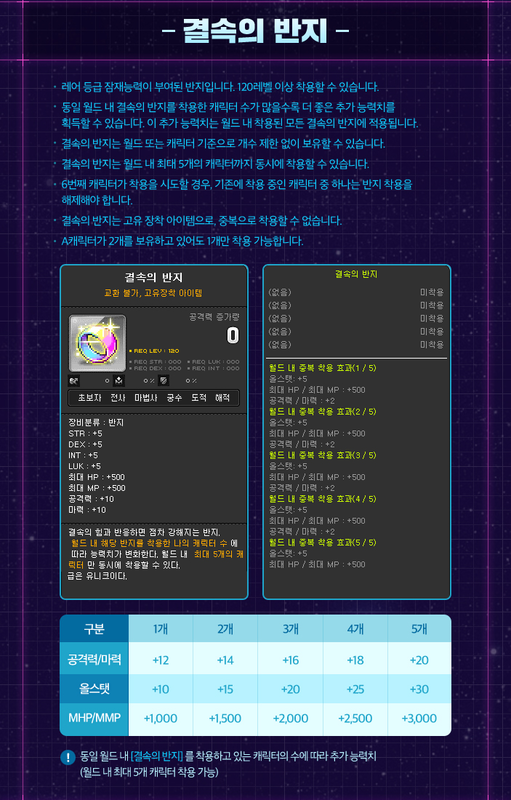 Fixed an error where Flame Wizard’s Spirit of Flame’s selection effect could not be seen while using Hangul input. Fixed an error where Night Walker’s Shadow Spear would be activated at a different location than Lucid’s location. Fixed an error where Eunwol’s Soul Split did not apply to Mu Lung Dojo’s Ravana. Fixed an error where Demon Avenger’s Demon Frenzy’s cooldown time did not apply normally if they changed channels after using it. Fixed an error where Cadena’s Chain Arts: Takedown would not activate Chain Arts: Fury’s giant chain. Fixed an error where Kaiser could not use Sword Strike with commands while jumping. Fixed an error where Kaiser’s Guardian of Nova applied to Buff Freezers. Fixed an error where Pink Bean could register Pink Bean’s Warrior as a pet auto buff. The Choice Hair and Face Coupons have been updated with a new set of choices. The June Royal Hair Coupon will be on sale from May 24 to June 20. The Trendy Royal Face Coupon has also been updated with a new set of faces. The Royal Style Coupon will be on sale from May 24 to June 13 with a new set of items. This month’s Special Label is the Clockwork Knight set! If you collect all five items, you’ll also receive the Heavenly Clock Chair. The Gold Apple has been updated with new items. For MapleStory’s 15th anniversary, Maple 15th Street is now open! It will run from April 26 to June 20. For more information about the existing events here, you can read my last post. Season 2 of the BIG BANG Store has begun and will run until June 24. Newly added items include the Chaos Ring (which can have its stats and potential reset for free up to 10 times per week), the Unity Ring (which has its stats increased by equipping the ring on up to 5 characters in the same world), and the Vengeance Ring. There is also the 15th Street Tour Chair, Pink Bean Scooter Riding, a new Job Damage Skin Box, and the 15th Street Damage Skin. In addition, all purchasing limits have been reset! All new items are highlighted in green. In addition, the Big Bang Attack! event will run from May 24 to June 6. Characters level 61 or higher can talk to the Toben Haired Warrior outside the BIG BANG Store to learn a new skill, Big Bang Attack! By killing monsters around your level, you can charge up the skill up to 4 stages. 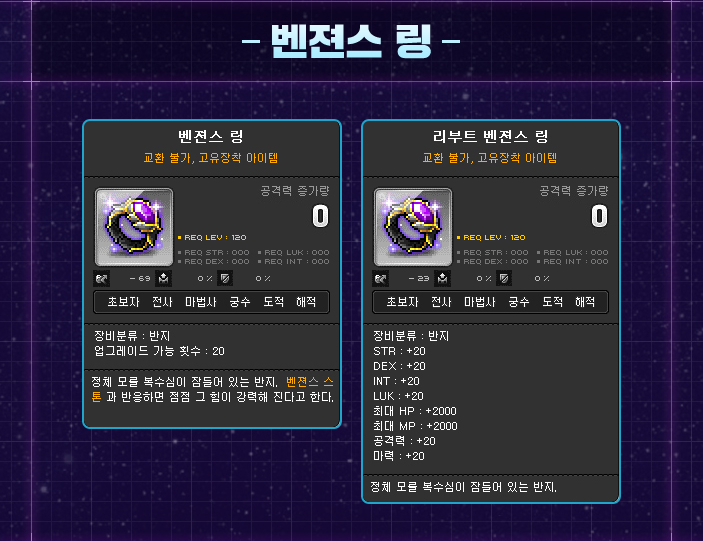 When it reaches the 4th stage, you can use Big Bang Attack to deal 6000% damage on up to 10 enemies. When you use the skill, you’ll instantly receive 300 15th Street Points as well as 20 points per monster killed with the skill. In addition, monsters killed with the skill will give 50% additional experience. The 15th Street Sky event will begin on June 7 and run until June 20. You can talk to the NPC Grills outside the LEGEND Tower to begin 15th Street Sky, a game where you must run down a runway then spread your parachute to fly as far as possible. While flying, if you collide with flower petals, you’ll instantly receive 15th Street Points. You can also find tailwinds which will propel you upwards if you run into them and also Huge Fans which are near the ground, and will propel you upwards if you land on their platforms. When you touch the ground, your flight will end, and you will receive additional 15th Street Points based on the distance you traveled. You’ll also earn Sky Points, the same amount of 15th Street Points you got from your flight. You can get up to 20,000 Sky Points per character per day. Based on your total number of Sky Points, your Flying Level will increase. As your Flying Level increases, your parachute and the various items’ effects will be enhanced. You even unlock a Booster at level 6! The JUSTICE Personal Training event has begun and will run from May 24 to June 20. This is a new type of event so I’ll try to explain it clearly. Basically, you’ll have a Coach Character and a Training Character. Whenever you play on your Coach Character, fighting monsters around your level will give a certain amount of that experience to your Training Character automatically! So first of all, you need to login to your Coach Character. Talk to Sogong at Maple 15th Street and he’ll explain to you the event. Your Coach Character must be level 105 or higher. Make sure you accept this quest on the character that you will actually be grinding with, as it is the one that will be sharing experience with the Training Character. Sogong will then ask you to choose your Training Character. This character must be between level 105 and 190, must be lower level than your Coach Character, and must be in the same world as your Coach Character. It cannot be a Zero or Pink Bean. Make sure you choose carefully as you cannot change this later on. After you’re done choosing, you’ll see a small window appear on your screen, showing your Training Character, their level, and their experience bar. From now on until the end of the event (or once your Training Character reaches level 190), any time you kill monsters around your level on your Coach Character, the Training Character will receive a certain amount of the base experience from monsters, based on the level on the Training Character. While the experience and level ups will be reflected automatically on the window, you must actually login to your Training Character to receive the experience. If you end the event without ever logging in to it, all saved up experience will be lost. In addition, if you can reach level 190 on your Training Character through this event, you can login to that character and receive the Personal Training Graduate title which gives 5 attack/magic attack and 15% bonus experience from monsters for 30 days. The Round and Round Cafe YOU&I event will run from May 24 to June 20. You can talk to Irene outside Cafe YOU&I to enter a new minigame! In this minigame, you must keep a Slime Mug steady on a platter using your mouse while avoiding the hazards falling from the sky. There are a total of 10 stages, each with a certain amount of time you must keep the mug steady. For each stage you clear, you’ll receive a certain number of 15th Street Points. Dance Battle V’s difficulty has been decreased. Each stage’s number of dance moves, points, and time limits have been changed as follows. The 1~9th Fashion mannequin in BEYOND Fashion now sells the Maple Earrings (70). The Finding Spiegelmann’s Artwork event will begin on June 7 and run until June 20. While hunting monsters around your level, you can acquire Spiegelmann’s Artwork. You will receive 200 15th Street Points as soon as you loot one. You can get up to 100 artwork per day. If you get 100 artwork in one day, you can choose one of the following rewards. The 15th Street Celebrity event is motivation to participate in all of the other events on 15th Street. At the beginning of the event, you’ll receive the Come to 15th Street! title. As you complete various missions on 15th Street, your reputation will increase and the stats of your title will increase as well. If you complete every mission, it will give 30 all stats, 1500 HP/MP, 30 attack/magic attack, 30% damage to regular monsters, 30% damage to boss monsters, and 30% defense ignore. The title’s stats will expire on June 20. If you complete every mission, you’ll receive the ★ 15th Street Celeb ★ medal! It gives 15 all stats, 750 HP/MP, and 7 attack/magic attack. The last few missions required have been added along with these season 2 events. The new ones are highlighted in green. In addition, since some of the 15th Street events have already ended (BEYOND Fashion, MIB Mega Burning, Restaurant RED dishes, Frozen Link), they have added a way for those who missed them to still complete the 15th Street Celebrity missions. The 15th Street Celebrity Catch Up event allows you to collect 100 15th Street Celebrity Passes from monsters around your level to complete the requirements of 1 mission for an already ended event. You can do this once per day. 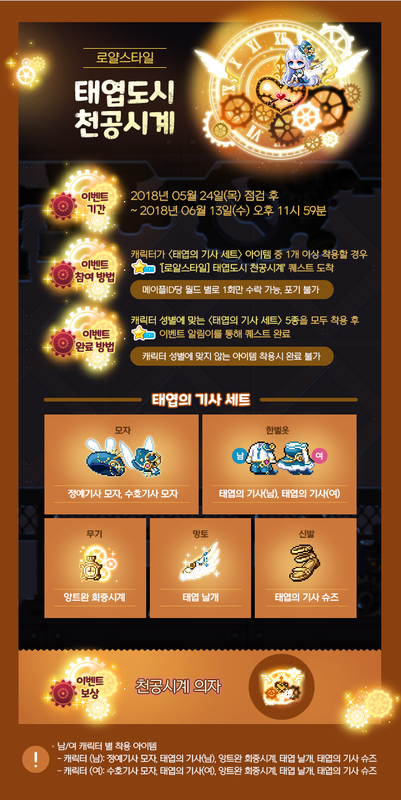 The Sunday Maple event will take place on May 27, June 3, June 10, and June 17. Any idea if Justice Fitness works to level a beginner? Max , i love your blog tho i hate hate nexon work recently. but i would like to ask your personal opinion about something.. do you think theres a decent chance nexon are going to make a decent or meaningful balance patch / reworks in some point of this 15th ? or maybe for coming summer? its just that all balance changes in last years been small not very meaninful not touching too many classes and changes did not make any sense.. its like they only been focused on new classes .. my self im an explorer pirate .. and to be honest they all feels awful.. Bucc can put some damage but.. the whole gameplay is annoying with too many needs in buffs. and sair.. whhat can i say? rapid fire is as weak as 1st class skill of other classes. cannoner is only class of the 3 that is somehwat ok.. but been nerfed quite abit . thank you ! MapleStory 2018 Summer Showcase: The BLACK! MapleStory’s 15th Anniversary – Game World’s Orchestra & Maple Art Balloon Project!